WINNER of the Photo Contest! 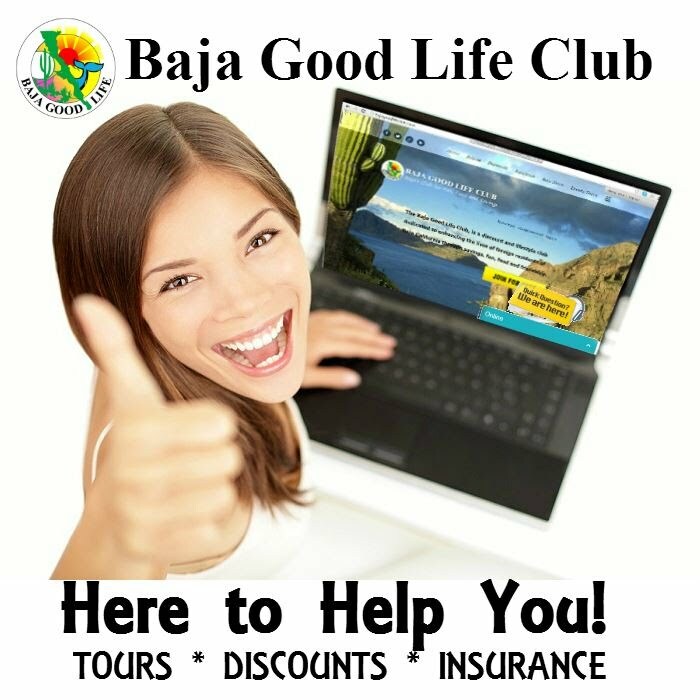 The Baja Good Life Club announces the Winner of the cover image for our "Baja California Magazine" Best of 2010 edition to be released January 2011. A top Mexican official on Monday called for strengthening economic ties between the United States and Mexico, saying that the payoff will be greater prosperity for both countries. 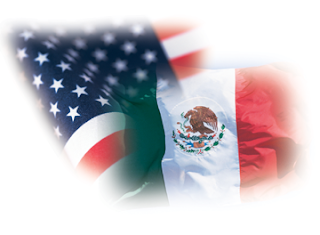 “Our nations need to work together if we really want to succeed in global competition,” Bruno Ferrari, Mexico’s economy secretary, said as he addressed a group of several hundred economic, political and civic leaders from Baja California and San Diego. “It is not only a question of moving forward, but doing so faster than other regions,” he said. Ferrari was in San Diego at the invitation of the San Diego Regional Chamber of Commerce Mexico Business Center. The group honored him with its annual International Tribute Award. Mexico’s economy contracted 6.5 percent last year, but has been recovering, and Ferrari expects the country’s gross domestic product to grow by five percent this year. Ferrari, 49, has been Mexico’s secretary of the economy since July. 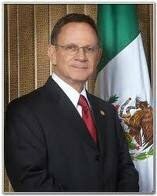 He previously served as director of ProMexico, a Mexican government agency that promotes trade and investment. Outstanding Cultural Achievement Award: The Mingei International Museum, the San Diego Museum of Art and the Timken Museum of Art. 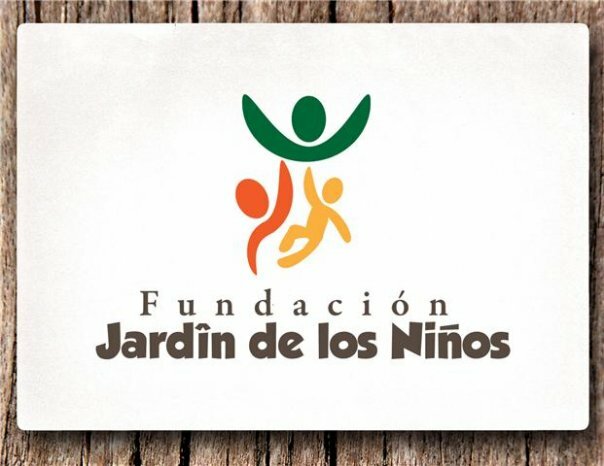 Distinguished Service Award: Club de Niños y Niñas de Mexico, A.C., a Tijuana non-profit organization that reaches out to Tijuana children and adolescents who are at risk and have little home supervision. 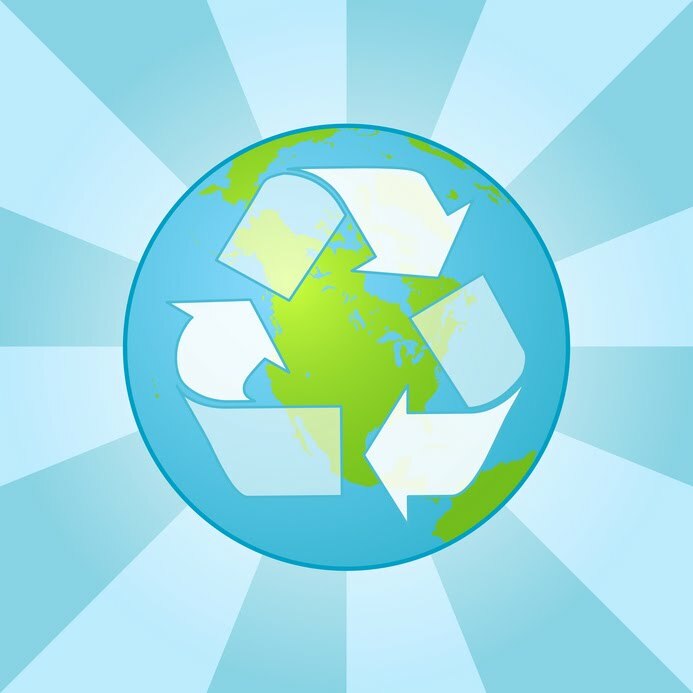 Environmental Stewardship Award: San Diego-based Kyocera International, North America headquarters for the Japanese conglomerate and Kyocera Mexicana, the company’s Tijuana-based maquiladora. Technological Innovation Award: DJO Global, a Vista-based manufacturer of orthopedic devices, and its Tijuana manufacturing facility. 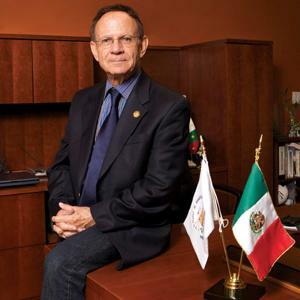 San Diego/Tijuana Citizens of the Year Award: José Galicot and Alejandro Bustamante, Tijuana businessmen who spearheaded the two-week Tijuana Innovadora conference held last month that highlighted the city’s potential for industry. event remains: Changing Lives Through Music and Art. Our returning musical guests are crowd pleaser favorites, like guitar legend Javier Batiz, blues roots gurus Chet & The Committee, the towering talent of Becki Sue and Her Big Rockin’ Daddies, the always fabulous Queen of Steam, Michele Lundeen, and the vastly entertaining Ruta 69 of Ensenada. New musical acts include the charismatic Afro-Cuban fusion group Libre, popular power band Mosk Trio, great eclectic blues rockers Deja Blues, and of course our inimitable local musical hosts, the super talented Agave Blues. Word has it at press time that a mega-star may make an appearance too, so stay tuned. 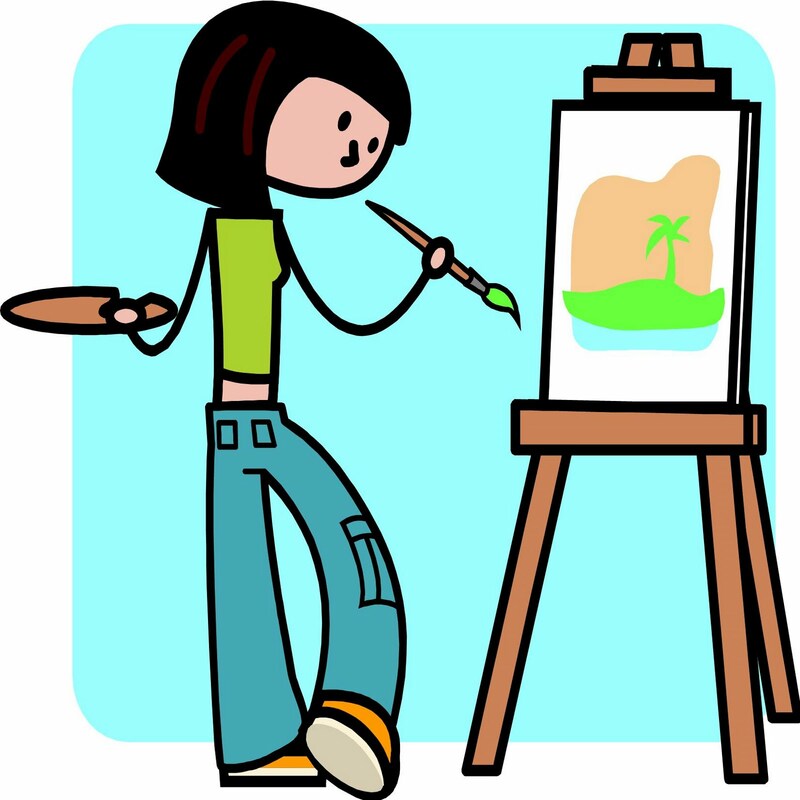 Calling all amateur artists, ages 0-99! Dec 7th. 1st, 2nd, 3rd place winners receive ribbons in each category and age division. Trophies awarded to the nest of show in the adult division and children's division. 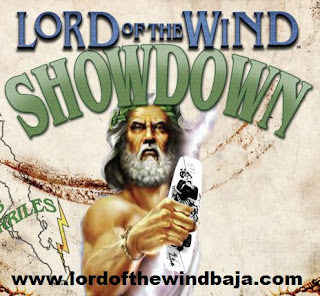 $75 pesos per entry. ROSARITO BEACH, BAJA CALIFORNIA, MEXICO---Mayor Hugo Torres Wednesday night in his third state of the city report cited major gains in reducing crime and corruption in the city. More than 500 people attended the report in City Hall plaza, the last of Torres' three-year term which began in December of 207 and ends this month. The speech prompted frequent applause. Among accomplishments, Torres cited a 21 percent reduction in crime in 2009 and an additional 14 percent to date this year, the greatest reduction in all of Baja. The current crime rate is the lowest since the state began keeping figures for the city in 2000. To accomplish this reduction, it was necessary to replace about 60 percent of the city police department, many of whom were suspected of working with organized crime, he said. The city also expanded the size of the force and added a tourist police department. Torres gave much of the credit for the gains to Director of Public Safety Jorge Montero, an Army captain on leave, who spearheaded the efforts after surviving an assassination attempt. Torres also thanked the Army and other branches of government for support. To further fight corruption, his administration made a strong commitment to transparency and strict financial accountability, the mayor said. In addition, the city made strong commitments to education, youth programs and drug prevention efforts to help build for the future, he said. Torres also thanked city council members and others who helped in achieving the progress for Rosarito. He cited the need for continued work to build upon the gains and also inform people of the progress that has been made. I traveled the road to Tecate Saturday and Sunday. The construction is getting a bit better with a few more sections of asphalt but with the rain last weekend it was a soupy, slippery mess. We almost got stuck in a section going up a small grade where several drivers stopped to size up the mess. We managed to maintain our momentum by going around them and clawed our way to the top of the hill but it was touch and go for awhile. Bottom line: if it's raining I would not at all recommend a two wheel drive vehicle. If the weather is dry it should be okay and add another 15-20 minutes drive time, depending on traffic and your ability to pass slow vehicles in the sections under construction. Put on your finest evening clothes, eat, drink, enjoy live entertainment and dance the night away at this elegant affair which will once again be held at Quinta Cangrejos, a spectacular private residence on the beach at Punta Ballena. 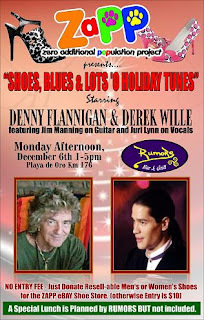 All proceeds benefit the Los Cabos Humane Society. Attendance is limited and this event is always a sell-out. Check back - as we will provide ticket info when available or contact tropimargarita@prodigy.net.mx for more information. ENSENADA - Mexican wine tasting "90 y más"
presale $600 mexican pesos, ticket office $800 mexican pesos, limited seating. The Childs Garden Association (Fundacion Jardin de los Niños)is having a Mexican Dinner to support the organization and to honor the career of Dr. Victor Abasolo, on Friday 3rd. December at 4 - 7 p.m. The event will be held at the Dental Office of Dr. Felix Rodriguez, on Mar de Cortez, opposite George's Restaurant and YetMail. The dinner will include a Margarita, a raffle ticket, Mexican dancers and singers. Tickets are $9 dollars per person and are available at Dr. Abasolo's office on Chetumal, at Dr. Rodriguez' office on Mar de Cortez and at Chumpos Pizza on Mar de Cortez. Any questions? Call Bonny at 577-1241. The Best riders from Both sides of the border Competing on a specially, designed race track with jumps and obstacles. Each race is for pits to determine the best racer in each category. 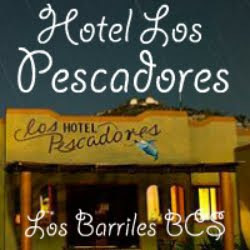 Venue: Rosarito Beach in Rosarito B.C. Time: Pending to be Confirm. Cost: Pending to be Confirm. 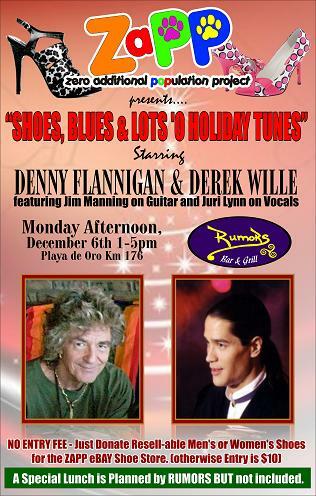 SHOES, BLUES & LOTS 'O HOLIDAY TUNES"
Starring the twin keyboards of Denny Flannigan & Derek Wille, featuring Jim Manning on Guitar and Juri Lynn on Vocals. There is NO entry fee if you donate resell-able men's or women's shoes for the ZAPP eBAY Shoe Store, otherwise entry is $10. Jeannie at RUMORS will be serving a real Holiday treat---an open face turkey sandwich, cranberry sauce, mashed potatoes, gravy and peas, as well as old time favorite Holiday Drinks, such as TOM & JERRY'S, SPIKED EGG NOG, HOT TODDIES, and HOT BUTTERED RUM. Of course, the entire lunch menu and a full bar are available but not included. So, Shoe Addicts, be proud of your addiction and don't be ashamed---just empty out your closets and let ZAPP turn your gently worn to new shoes into money for the spay/neuter street project. "It is our privilege this morning to honor a man who has provided us with three years of good government," elder Richard Johnson told the congregation which is composed largely of expatriates. Johnson added: "We have witnessed public safety and the judicial system be greatly strengthened." Torres at the service was presented with a Spanish language Bible by church member Tom Ward, as well as a donation to the Rosarito Boys and Girls. Torres told the congregation that he had visited every Rosarito school twice during his time in office. Education and programs such as the Boys & Girls Club are vital to building a strong city, Torres said. The outgoing Mayor also cited the role of religion in improving a community by strengthening values and thanked church members for their contributions to the city. Under Torres' leadership, more than 60 percent of city police were replaced even as the force was expanded. Crime declined 21 percent in 2009 and is down an additional 14 percent this year, to the lowest level ever recorded. He told church members of the difficulties in accomplishing this and gave much of the credit to Director of Public Safety Jorge Montero, an army captain on leave. Montero survived an early assassination attempt to go on to direct reform efforts. Torres said he also received personal death threats as the city cracked down hard and made it clear it was committed to eliminating corruption and organized crime. "This is the way it should continue," Torres said. "We have not finished the work." As you know Terry, now Barclay, has only partial sight. We are lucky in Calgary to have one of the best canine Ophthalmologists in Western Canada. I took Terry to see him as I wanted to make sure that those cloudy eyes were not painful. 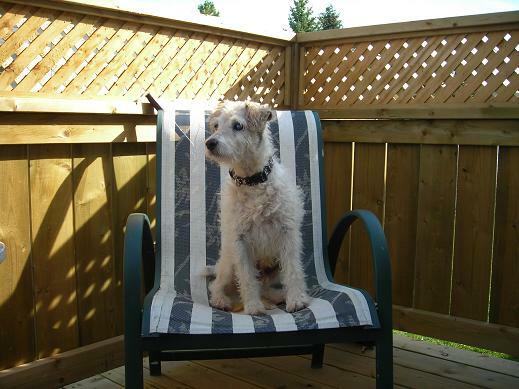 Terry was diagnosed with Corneal Edema which can be treated over a 3 week period. Terry has regained 80 percent of his sight in his right eye and about 20 percent in his left. The eyes will never be cured, just improved. We can however, keep them at this level of improvement with an ongoing treatment. The sad thing is if he had been treated when the clouding started it could have been fixed for about a penny a day. Thank you all for rescuing, then allowing me to adopt Terry because, he is amazing. That first evening I thought might be a bit rough on him, but no, he settled in as if he had always lived here. We both got a good night's sleep - him in a nice soft dog bed next to mine, so we were off to a great start. Terry's house manners are wonderful. He does not have any bad habits at all, which I must say surprised me. He just loves people and is so happy to see them. He never barks, the tail just wags and wags. In fact, he does not bark very often, but when he does you can tell his throat had been hurt at some time. He spends his time following me around the house, racing around the back yard, going for walks or cuddling on the couch. When I have to go out, I trust him to behave which he does, I am retired so I'm home most of the time, however, when I do go out I trust him to behave and he does. The only thing he ever does is - if there are any shoes at the front door, he will pile them all up in the middle of the room. He has never damaged one. After doing that, he takes up the position of sitting on the chair by the door to wait. He thinks he owns all the chairs and takes turns choosing which one he is going to sit in, so they are all hairy. Oh well, who cares when you have a wonderful companion like him. A week after arriving, I took him to a friend who is a groomer and she bathed and clipped his nails. Again he behaved perfectly as he did at the Ophthalmologist's who said he wished all his patients were this well behaved. To you all, Thank You for all the wonderful work you do with these poor, abandoned dogs. Also a big thank you to all the Calgary Pawsitive Match volunteers for all their help and support. You have all given me a forever friend and I am very grateful. We truly are a Pawsitive Match. "Painting the Figure in Oils"
Nationally recognized painter Scott Mattlin will be conducting a three-day workshop where students will observe numerous demonstrations; and then will be working on their own paintings with quite a bit of attention given by the instructor to each student. 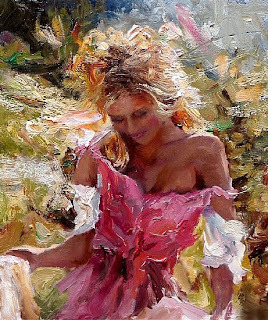 We will discuss the wide varieties of colors which may be used to mix flesh tones; creating interesting backgrounds for the subject with varied and unusual surface textures, and ways to incorporate thick, juicy brushstrokes in painting hair, clothing, etc. The use of contrast to create rich, powerful paintings will also be demonstrated and incorporated when painting in this informal, yet information-filled class. Students are encouraged to bring notebooks; and to ask as many questions as possible in order to take away information that they can REALLY USE in their own ongoing work! Scott's classes are known for their relaxed and joyful atmosphere, and non-intimidating, and informal character. A truly fun workshop for students of all levels! The cost is US$ 300 per student for the three days. Class size limited. Most stories of Thanksgiving history start with the harvest celebration of the pilgrims and the Native Americans that took place in the autumn of 1621. Although they did have a three-day feast in celebration of a good harvest, and the local natives did participate, this "first thanksgiving" was not a holiday, simply a gathering. There is little evidence that this feast of thanks led directly to our modern Thanksgiving Day holiday. Thanksgiving can, however, be traced back to 1863 when Pres. Lincoln became the first president to proclaim Thanksgiving Day. 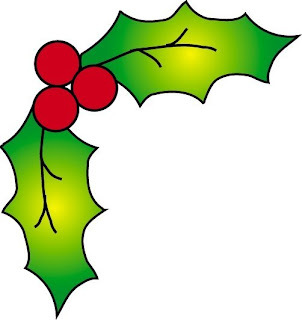 The holiday has been a fixture of late November ever since. 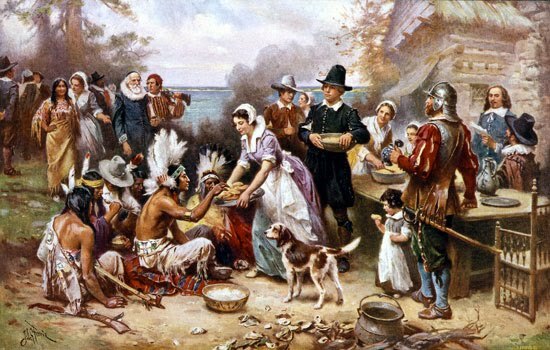 However, since most school children are taught that the first Thanksgiving was held in 1621 with the Pilgrims and Indians, let us take a closer look at just what took place leading up to that event, and then what happened in the centuries afterward that finally gave us our modern Thanksgiving. The Pilgrims who sailed to this country aboard the Mayflower were originally members of the English Separatist Church (a Puritan sect). They had earlier fled their home in England and sailed to Holland (The Netherlands) to escape religious persecution. There, they enjoyed more religious tolerance, but they eventually became disenchanted with the Dutch way of life, thinking it ungodly. Seeking a better life, the Separatists negotiated with a London stock company to finance a pilgrimage to America. Most of those making the trip aboard the Mayflower were non-Separatists, but were hired to protect the company's interests. Only about one-third of the original colonists were Separatists. The Pilgrims set ground at Plymouth Rock on December 11, 1620. Their first winter was devastating. At the beginning of the following fall, they had lost 46 of the original 102 who sailed on the Mayflower. But the harvest of 1621 was a bountiful one. And the remaining colonists decided to celebrate with a feast - including 91 natives who had helped the Pilgrims survive their first year. It is believed that the Pilgrims would not have made it through the year without the help of the natives. The feast was more of a traditional English harvest festival than a true "thanksgiving" observance. It lasted three days. This "thanksgiving" feast was not repeated the following year. Many years passed before the event was repeated. It wasn't until June of 1676 that another Day of thanksgiving was proclaimed. On June 20 of that year the governing council of Charlestown, Massachusetts, held a meeting to determine how best to express thanks for the good fortune that had seen their community securely established. By unanimous vote they instructed Edward Rawson, the clerk, to proclaim June 29 as a day of thanksgiving. It is notable that this thanksgiving celebration probably did not include Native Americans, as the celebration was meant partly to be in recognition of the colonists' recent victory over the "heathen natives," (see the proclamation). By then, it had become apparent to the settlers that the natives were a hindrance to their quest for more land, so the good will they shared at the first feast had long been lost. A hundred years later, in October of 1777 all 13 colonies joined in a thanksgiving celebration. It also commemorated the patriotic victory over the British at Saratoga. But it was a one-time affair. George Washington proclaimed a National Day of Thanksgiving in 1789, although some were opposed to it. There was discord among the colonies, many feeling the hardships of a few pilgrims did not warrant a national holiday. And later, President Thomas Jefferson opposed the idea of having a day of thanksgiving. Thanksgiving was proclaimed by every president after Lincoln. The date was changed a couple of times, most recently by Franklin Roosevelt, who set it up one week to the next-to-last Thursday in order to create a longer Christmas shopping season. Public uproar against this decision caused the president to move Thanksgiving back to its original date two years later. 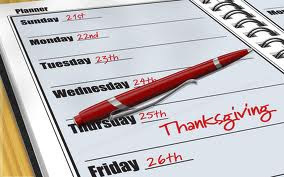 And in 1941, Thanksgiving was finally sanctioned by Congress as a legal holiday, as the fourth Thursday in November. Currently in La Paz there are locations to take dogs. One is the Baja Dogs La Paz Refugio which opened in 2007. 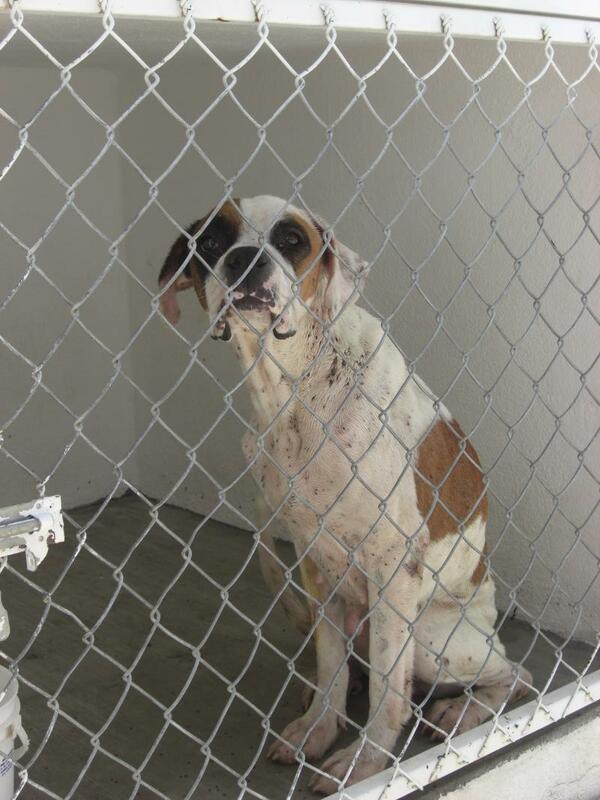 This refugio rescues and accepts abused and abandoned dogs. 551 dogs have entered the refugio to date with 231 going to Canada and the US and many more adopted locally. The government's dog pound known as the Perrera, which is located just off the highway towards San Pedro, accepts and pick ups all unwanted dogs. 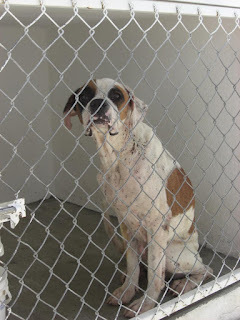 They are not checked for diseases or treated for any conditions such as ticks or fleas but are put in cages for 3 days. During this period the owner can retrieve their dog if in fact it was lost and taken to the Perrera by mistake. Following the 3 days, the dogs are put down. We try to save a life by taking dogs from the Perrera but it is challenging as exposure to Distemper and Parvo are very likely. It is very difficult at times to keep the dogs at the refugio healthy without the threat of contagious diseases such as these. We recently picked Sunny up from the Perrera. Fortunately, even though he was exposed to the Parvovirus, his tests came back negative. Volunteers and staff pulled well over 200 ticks from Sunny but the good news is he's on the road to recovery. After suffering the longest night of his young off-road racing career, Joe Bacal and the Cancer Treatment Centers of America-sponsored Lexus LX 570 stormed past the finish line at 7:54 a.m. Saturday morning in a triumphant conclusion to the 43rd Annual Tecate SCORE Baja 1000. After weeks of careful preparation and the 2010 SCORE Stock Full championship already behind them, cancer survivor Bacal and first-leg co-driver Chris Cocores departed Ensenada at 12:57 p.m. on Thursday with a comprehensive race plan and a quick LX 570, backed by a second driving team and a race-tested support crew. Their plan was to turn the rig over to Bob Ditner and Paul Williamsen early Friday morning at mile 546 but things did not quite go as planned. The highly unusual breakdown sidelined the team for more than two hours, but the worst was yet to come. 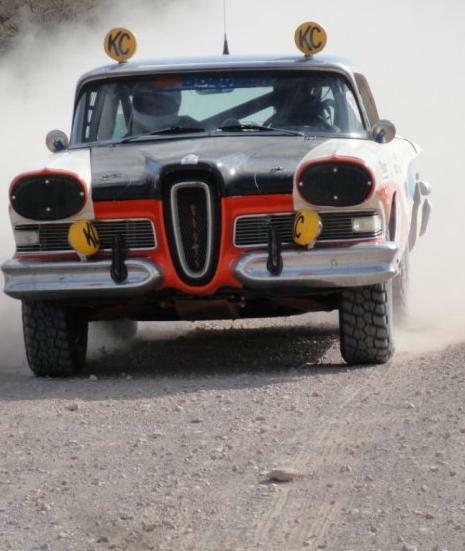 An engine restart issue that emerged after the Primm 300 in September and was thought to be under control, re-appeared after the wheel-related repairs were completed. At this point Bacal and Cocores were just a few miles from checkpoint #5 (race mile 382) at about 2:20 on Friday morning. But the apparent electrical anomaly proved resistant to diagnosis for hours, with hunger, fatigue and the dark, chilly desert frustrating their efforts. Now the JTGrey team would have to run quick and trouble free for the rest of the race—about 680 miles—to reach the finish in the allotted time. And that they did. Bacal and Cocores handed the big LX to Ditner and Williamsen at mile 545 and the pair ran fast and clean to mile 840, averaging nearly 40 miles per hour. They also passed the previously class-leading—but now stationary—#861 Hummer along the way, further energizing the weary team. At the driver change around midnight Friday, Ditner moved to the passenger seat and Bacal retook the wheel for the final run to the finish. With only a few hours of precious sleep over the last 40+, the adrenaline-fueled Bacal pushed surprisingly hard over the final 222 miles. Bacal and Lexus’ first foray into off-road racing yielded immediate victory in 2009 with a brand-new team and an equally new LX 570 at the brutal Baja 500. Since then, the Cancer Treatment Centers of America-sponsored squad has compiled a perfect finishing record that remains unbroken. Bacal and Lexus dominated their class in 2010 with four wins and one second-place finish to run away with the SCORE Stock Full championship. Not content to slow down, the team is already planning their assault on the 2011 season. A.L.M.A. 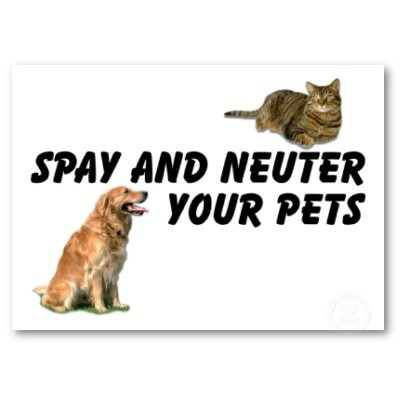 has been given an anonymous challenge grant of $1,000.00 usd towards our spay/neuter fund. We would like to match this by December 31st. 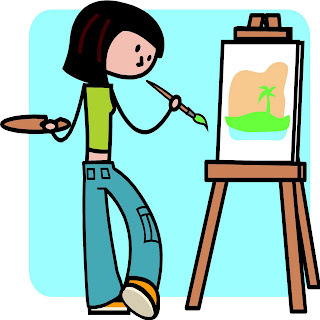 If you would like to support what we do in the East Cape, please contact Sheila Marshall at bajasheila@yahoo.ca or by telephone at 624 13 77683 (cell). The sun is warm on my back as I water our foot-high tomato plants and try to mentally plan a Thanksgiving feast for two with no turkey. There's no possible way to roast a turkey in my toaster oven! Not even a dismembered. turkey baked one small part at a time. The tiny kitchen here in our bookstore is compact and (somewhat) organized, but there is no stove in it, and my husband misses the usual huge Thanksgiving turkey with all of the trimmings. A toaster oven, crockpot, coffee pot, and microwave have done us well for six years, and they have also turned out many passable and even a few gourmet meals. Life here in Loreto is different and interesting, and it is also a very good life. However, Thanksgiving is the holiday when we most miss our families in Illinois and Colorado, as we remember all of the beautiful and unbroken traditions that happened without a hitch for so many years. Adult children are now creating their own Christmas traditions for their young families, and Beto and I now enjoy summer reunions that are certainly memory-makers. But Thanksgiving is a precious family time, and we now live far away from the families we love. The celebration of Thanksgiving has become one of America's most important holidays, and to date has resisted most efforts to over-commercialize it. Whether or not the first Thanksgiving actually happened in exactly the way we've always read and heard in historical legends and stories, is not really important. Thanksgiving is the time in the year when we pause our busy and hectic lives to feel gratitude for all of the good things in our lives; and it's also a time to pause before the rush, glitter, and stress of Christmas. Thanksgiving is an American holiday, although all of earth's cultures have their own times and ways of celebrating life's blessings and giving thanks, whether that celebration centers on a plentiful harvest, success in hunting, or is a gathering of family and friends. We have Sarah Josepha Hale, the editor of Godey's Lady's Book to thank for this National holiday dedicated to gratitude and family, and what has now also become the gateway to another holiday season. Between 1846 and 1863, Sarah campaigned tirelessly to make Thanksgiving a national holiday. A very strong minded woman, she wrote long letters to six presidents proposing a national holiday of thankfulness in November. Letters barraged the presidentual offices of Polk, Taylor, Filmore, Pierce, Buchanon, and Lincoln. It was Lincoln who finally signed the proclamation making Thanksgiving a national holiday, and in a touching gesture, he did so in the same year he signed the Emancipation Proclamation. Sarah's determination (and also some stubborness), is clearly demonstrated by her singleminded opinions about what should be served on this day. She filled Godey's magazine with her own recipes using cranberries, turkey, potatoes, and pumpkins. Perhaps this became the primary source for the recipes we adapt and still use today. She also published some exotic and less popular suggestions (to modern cooks). Her menus include boiled and stewed eels along with decorated tables groaning under a wide variety of other meats; .mutton, ducklings, meat pies, a goose, several different beef dishes, and also pork in many forms. Ahh! Beto and I have just been invited to share a Thanksgiving dinner with friends (he is a gourmet cook, and he also has an oven). Beto is thrilled to think of eating turkey again on Thursday, and so I am now searching recipes for my contribution....perhaps a stunning and spectacular dessert that uses ingredients easily found here in Loreto, and that will fit easily into a toaster oven. We all make our own traditional foods. I do not serve seven sweets and seven sours in heavy cut glass dishes on a damask tablecloth covering a heavy oak table, as did my German grandmother, and eel has never graced our table, but the premise of eating together in gratitude for our blessings continues, today. The sun is warm, our tomatoes grow daily, and our children all send love and best wishes. Life is good. Although the popular tourist destination of Rosarito Beach most often is thought of as spring and summer destination, the holiday season is one of the most magical times of the year here. Rosarito Beach --- Baja California, Mexico --- is a wonderful destination just 20 miles south of San Diego that offers the chance to enjoy the holidays in another country, but one that is an easy drive from the U.S.
Heart-warming holiday scenes abound here: a giant Christmas tree on Boulevard Benito Juarez by the Festival Plaza; nativity scenes in the Rosarito Beach Hotel; posadas --- recreations of Joseph and Mary's search for lodging. It's also a great place to purchase unique holiday gifts at some amazingly low prices. The picturesque shops here are far less crowded than U.S. malls, making for a more relaxing shopping experience --- especially when combined with a stay at one of the region's many hotels, which now feature some irresistible off-season rates. Rosarito has long been known as a shopper's paradise. Its shops are filled with silver, jewelry, leather goods, Mexican crafts and curios, unique household furnishings from throughout Mexico, plus creations by the area's large art and artisan communities. You can even combine shopping with a very affordable mini-vacation. For children and others, the chance to spend holidays in another land is an unforgettable experience. For those who choose to spend the holidays themselves in Rosarito, the options are extensive. Rosarito has a large expatriate community of about 14,000, so you'll have no trouble finding a turkey dinner with all the trimmings --- as well as fresh lobster. And, yes, Rosarito is known for festive celebrations. New Year's Eve parties range from Mexican folkloric ballet to live dance bands. You can even toast the New Year with wines from the nearby Guadalupe Valley and maybe include a visit there in your trip. 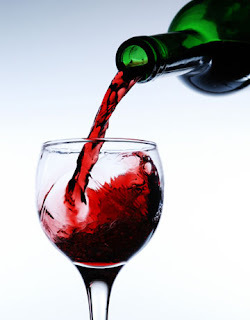 Rosarito is the gateway to the famous wine region, about 40 miles to the south. The stunning coastal route that leads there, a mix of mountains and ocean, is one of the most beautiful in the world. This time of year you might even see a whale migrating to birthing grounds in southern Baja, a truly wondrous site. It truly 'tis the season. USBC THANKSGIVING DINNER AT RUBEN'S PALM GRILL (Cantamar Exit). The 4-course dinner will include all the fixings including pumpkin pie. There will be entertainment and prizes. Donation: $9.00/Member & $12.00/Guest (Limit 2 Non-Member Guests/Member). Seating is limited to the first 80 tickets sold (no exceptions!). Payment must accompany your reservation. .
Info Contact Judy Westphal 661-614-1113; e-mail: jawmem@msn.com. SCORE TROPHY-TRUCK (Unlimited Production Trucks)-- 1. Gus Vildosola Jr. /Gus Vildosola Sr., Mexicali, Mexico, Mexico, Ford F-150, 19:00:04 (55.87 miles per hour); 2. Robby Gordon, Charlotte, N.C., Chevy CK1500, 19:22:22; 3. Roger Norman, Reno, Nev., Ford F-150, 19:56:27; 4. B.J. Baldwin, Las Vegas/Chad Ragland, Vista, Calif., Las Vegas, Chevy Silverado, 19:57:20; 5. Gary Weyhrich/Mark Weyhrich, Troutdale, Ore., Ford F-150, 20:08:04; 6. Troy Herbst/Brian Collins, Las Vegas, Dodge Ram1500, 20.49:39; 7. Rob MacCachren, Las Vegas/Will Staats, Valencia, Calif., Ford F-150, 20:54:18; 8. Nick Vanderwey, Phoenix/Curt LeDuc, Cherry Valley, Calif./Larry Vanderwey, Litchfield Park, Ariz., Chevy Silverado, 21:10;11; 9. Jason Voss/Rich Voss, Cupertino, Calif./John Swift, Santa Ynez, Calif., Chevy Silverado, 21.13:14; 10. Mark McMillin, El Cajon, Calif./Chuck Hovey, Escondido, Calif., Ford F-150, 21:15:03; 11. Robbie Pierce/Mike Julson, Santee, Calif., Ford F-150; 21:25:08; 12. Jesse Jones, Litchfield Park, Ariz./Larry Ragland, Cave Creek, Ariz., Chevy Silverado, 21:30:39; 13. Adam Householder/Terry Householder, Orange, Calif., Chevy Silverado, 22:02:06; 14. Steve Strobel, Clarks, Neb./Dale Ebberts, Wilton, Calif., Chevy Silverado, 22.02:48; 15. Rob Bruce, Sublimity, Ore./Mark Witte, Silverton, Ore., Chevy Silverado, 23:35:09; 16. Craig Potts, Scottsdale, Ariz./Billy Cartwright, Glendale, Ariz., Ford F-150, 25:11:54; 17. Dave Crinklaw, Reedley, Calif./Mike Thurlow, Kingsburg, Calif., Chevy Silverado, 25:37:48; 18. Ed Stout, Irvine, Calif./Jay Manning, San Jose del Cabo, Mexico/Jason Batulis, Tustin, Calif., Chevy 1500, 26:09:02; 19. Cameron Steele, San Clemente, Calif./Cody Stuart/Justin Smith, Capistrano Beach, Calif./Pat Dean, Las Vegas, GMC Sierra, 27:12:44; 20. Andy McMillin, San Diego/Scott McMillin, National City, Calif., Ford F-150, 27:17:15; 21. Gary Magness/Devin Housh, Desert Hot Springs, Calif./Steve Knudson, Denver, Ford F-150, 27:53:36; 22. Pete Sohren, Glendale, Ariz./Bill Hernquist, Las Mesa, Calif./Ramsey El Wardani, Carlsbad, Calif., Ford F-150, 28:45:25; 23. Scott Steinberger, Signal Hill, Calif./Dave Sykes, Del Mar, Calif., Ford F-150, 29:12:17; 24. Josh Hall/Chad Hall/Rod Hall, Reno, Nev., Chevy Silverado, 32.51:04; 25. Glen Greer, Green Valley, Ariz./Shane Pavolka, Vail, Colo., Dodge Ram1500; 44:12:42. CLASS 1 (Unlimited single or two-seaters)—1. Steve Appleton/Chris Appleton, Boise, Idaho, Jimco-Chevy, 20.32:18 (51.69 mph); 2. Daniel McMillin, El Cajon, Calif./Steve Sourapas, Rancho Santa Fe, Calif./Gary Arnold, El Cajon, Calif., Jimco-Chevy, 21:39:47; 3. Nick Johnson, Anaheim Hills, Calif./James DeGaine, Indio, Calif., BTC-Subaru, 22:21:17; 4. 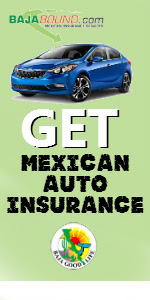 Juan C. Flores, Cabo San Lucas, Mexico/Victor Barreda, San Ysidro, Calif./Steve Barry, San Jose del Cabo/Luis Ramirez, Cabo San Lucas, Calif., Racer-Chevy, 23:09:39; 5. Paul Keller/John Kremp, El Cajon, Calif./Charles Rudolph, San Diego, Jimco-Chevy, 25:12:47; 6. Rudy Cortez/Carlos Cortez, Henderson, Nev., DunBuggy-Chevy, 25:42:23; 7. Armin Kremer, Germany/Andreas Aigner, Austria/Jim Mihal, Vista, Calif., Jimco-Chevy, 27:08:06; 8. Cameron Thieriot, Petaluma, Calif./Kash Vessels, Bonsall, Calif./Max Thieriot, Petaluma, Calif., RPS-Chevy, 27:18:56; 9. Todd Romano, Mesa, Ariz./Jack McCormick, Tempe, Ariz., DragonFire-Chevy, 28:22:42; 10. Dale Lenk, Costa Mesa, Calif./Brent Lenk/Grant Lenk, Newport Beach, Calif./Randy Perry, Santa Ana, Calif., Penhall-Chevy, 28:34:45; 11. Kory Halopoff/Harley Letner, Orange, Calif./Ron Brant, Torrance, Calif., Alpha-Chevy, 28:46:23; 12. David Greenhill/Mike Greenhill, Crowley, Texas/Mike Boone, Garden Grove, Calif., Jimco-Chevy, 30:09:30; 13. Josh Rigsby/Erik Litzenberg, Santa Fe, N.M./Tony Murray, Tustin, Calif./Scott Wisdom, Lake Forest, Calif., Penhall-Chevy, 31:49:20; 14. Ikuo Hanawa, Japan, Hanawa-Toyota, 34:13:15; 15. Dan Martin, Monrovia, Calif./Dale Dondel/Mike Dondel, San Jacinto, Calif., Penhall-Chevy, 35.43:33; 16. Conan Barker, Whittier, Calif./Scott Zeppenfeldt, Brea, Calif./Brad Fauvre, Pacific Palisades, Calif./Ken Owens, Oak Hills, Calif., Jimco-Chevy, 41:26:27. CLASS 1-2/1600 (VW-powered, single or two-seaters to 1600cc)—1. Arturo Velazco/Abel Velazco/Rogelio Pando, Banning, Calif./Esteban Cruz, Ensenada, Mexico Porter, 25:31:46 (41.58 mph); 2. Arnoldo Ramirez/Eli Yee/Misael Arambula/Alan Maupome, Ensenada, Mexico, Curry, 25:36:38; 3. Daniel Lopez, Ensenada, Mexico/Ambrosio Gutierrez, Mission, Texas, Curry, 25:41:46; 4. Luke McMillin, El Cajon, Calif./Andrew DeVercelly IV, Lakeside, Calif./Adam Pfankuch, Oceanside/Rick St. John, Encinitas, Calif., AlumiCraft, 26:12:00; 5. Danilo Cesena, Cabo San Lucas, Mexico/Roberto Romo, Mexicali, Mexico, 29:08:43; 6. Eliseo Garcia, San Ysidro, Calif./Hector Sarabia/Federico Montes, Ensenada, Mexico, Garibay, 29:24:41; 7. Pancho Bio/Cisco Bio/Jorge Martinez, El Cajon, Calif./Leonardo Navarrete/Alejandro Navarrete, Mexicali, Mexico, Tubular Design, 30:41:43; 8. Kevin J. Walsh, Manchester, Mo./John Spar, Westlake Village, Calif./George Peters, Newbury Park, Calif., Penhall, 31:37:27; 9. Rick Steven, Oceanside, Calif./Charlie Steven, Las Cruces, N.M./Robert Figlioli, El Cajon, Calif., RaceCo, 34:49:44; 10. Ray Files, Carlsbad, Calif./Josh Tieman, Metal, 37:28:47; 11. Harry J. Curtin, Phoenix, Harry W. Curtin, Orchard Park, N.Y./Andy Lee, Chandler, Ariz./Lyndon Slade, 30, Phoenix, Foddrill, 37:39:26; 12. Alejandro Lozano/Gerardo Luengas/Alejandro Ibarrola/Federico Tejado, Mexico City, Mayoral, 40:33.30. CLASS 3 (Short Wheelbase 4X4)—1. Donald Moss, Sacramento, Calif./Ken Moss, Marysville, Calif./Dave Grudsman, Elk Grove, Calif., Ford Bronco, 28:37:23 (37.09 mph). CLASS 5 (Unlimited VW Baja Bugs)—1. Kevin Carr/Noe Valdez, San Diego/Luis Barragan/Luis Barragan Jr., Mexicali, Mexico, 25:32:48 (41.55 mph); 2. Cody Kellogg, Cypress, Calif./Rick Wilcoxson, Upland, Calif./Troy Johnson, Riverside, Calif., 27:45:37; 3. Victor Cesena Jr. /Victor Cesana, Cabo San Lucas, Mexico/Jorge Dominguez, San Jose del Cabo, Mexico, 29:12:48; 4. Carlos Albanez, El Centro, Calif./Hector Perez/Luivan Voelker, Mexicali, Mexico/Guillermo Artengsa, Chula Vista, Calif., 29:19:26; 5. Tom Bird, Chatsworth, Calif./Jim Borden/Scott Wagstaff, 34:02:28; 6. Drew Belk, Coachella, Calif./Dave Bonner, Norco, Calif./Jim Anderson, Reno, Nev./Mike Belk, Palm Desert, Calif., 37:38:20. CLASS 5/1600 (1600cc VW Baja Bugs)—1. Gustavo Avina/Miguel Leon, Ensenada, Mexico, 28:15:20 (37.57 mph); 2. Erich Reisen/Ross Burden/Ted Balkie, Canada, 30:55:06; 3. Sergio Moreno/Tijuana, Mexico/Manuel Rodriguez/Juan Rodriguez, Chile/Gerardo Iribe, Santa Ana, Calif./Carlos Iribe, Rosarito, Mexico, 31:30:16; 4. Alonso Angulo/Roberto Rabago/Mario Reynoso, Ensenada/Gerardo Salazar/Angel Chavez/Horacio Morales, Tijuana, Mexico, 32.32:19; 5. Trevor Anderson/Mark Anderson, Carlsbad, Calif./Archie Negrete, San Diego/Victor Cells, Ensenada, Mexico, 32:54:20; 6. Ernesto Arambula/Miguel Rosales/Luis Guevara/Andres Barrera/Ramon Aguilar, Ensenada, Mexico, 34:57:11; 7. John Witchel, San Franciso/Jonathan Knight, San Mateo, Calif./Eric Hansen, San Francisco/Chris Stuart, Danville, Calif., 44:00:14. CLASS 6 (Unlimited, production mini trucks)—1. David Caspino, Woodland Hills, Calif./Jason Ruane, Lancaster, Calif., Ford Ranger, 22:54:37 (46.34 mph); 2. Al Hogan, Columbus, Mont./Pat Bell, Gardena, Calif., Ford Ranger, 25:03:33; 3. Heidi Steele, San Clemente, Calif./Rene Brugger, San Diego, Ford Ranger, 27:43:10; 4. Robert Pickering, Tustin, Calif./Ben Phillips, Colusa, Calif., Ford Ranger, 38:50:04. CLASS 7 (Open, production mini trucks)—1. Dan Chamlee/Tom Chamlee, Carpenteria, Calif., Ford Ranger, 28:10:19 (37.69 mph); 2. Jose Gonzalez, Mexicali, Mexico/Willie Valdez, Ensenada, Ford Ranger, 35:03:51; 3. Guillermo Gallardo, Chino Hills, Calif./Reynaldo Avila/Marco Drew, Loreto, Mexico, Ford Ranger, 41:29:09. CLASS 7SX (Modified, open mini trucks)—1. Elias Hanna/Jose Castro/Abelardo Ruanoua, Ensenada, Mexico, Ford Ranger, 29.41:28 (35.75 mph); 2. Oscar Licon, San Quintin, Mexico/Juan Castenada, Camalu, Mexico, Ford Ranger, 37:35:46; 3. Norm Turley/Trevor Turley, Long Beach, Calif./Jesus Galvan, Whittier, Calif., Ford Ranger, 38:00:42; 4. Jon Anderson, San Juan Capistrano, Calif./Mike Horner, Mission Viejo, Calif./Brandt Anderson, Ladera Ranch, Calif., Toyota Tacoma, 38:23:26. CLASS 8 (Full-sized two-wheel drive trucks)—1. Clyde Stacy, Bristol, Va./Justin Matney, Bristol, Tenn., Chevy Silverado, 23.50:23 (44.53 mph); 2. Kent Kroeker, Valley Center, Calif./Harri Pavanpera, Finland, Dodge Ram2500; 30:58:25; 3. Juan C. Lopez, Tecate, Mexico/Jose Robles, San Ysidro, Calif./Ricardo DeLas Cabos, Chula Vista, Calif., Ford F-150, 33:55:18; 4. Tom Bradley, Las Vegas/Lupito Abaroa, La Paz, Mexico/Roger Derrick, Las Vegas, Chevy Silverado, 38:41:50; 5. Stanley Burns/Carlos Murillo, Loreto, Mexico, Ford F-150, 44:58:18. CLASS 9 (VW-powered, Short wheelbase, single or two-seaters)—1. Clyde Stacy/Michael Powell, Bristol, Va./Jorge De La Torre, Ensenada, Mayoral, 39:53:18 (26.62 mph). SCORE LITE (VW-powered, Limited single-1776cc-or two-seaters-1835cc)—1. Justin Davis, Chino Hills, Calif./Daniel Folts, La Habra, Calif./Francisco Villagomez, San Jose del Cabo, Seagrove, 22:53:05 (46.39 mph); 2. Lee Banning, Laveen, Ariz./Lee Banning Jr., Litchfield Park, Ariz./Gary Wilhelm, Jr., Dana Point, Calif./Rick Graf, Scottsdale, Ariz./Rick Boyer, Bakersfield, Calif., Foddrill, 24:58:14; 3. Hector Garcia, Imperial Beach, Calif./Roberto Encinas/Carlos Gomez/Roberto Encinas Jr., Chula Vista, Calif., Jimco, 25:55:36; 4. Samuel Araiza/Ernesto Cervantes/Humberto Osuna, La Paz, Mexico, Curry, 30:03:16; 5. John Padgett, Canada/Brian Steele, Hesperia, Calif./Ryan Nikita, Canada/Terry Kirley, Canyon Lake, Calif., Kreger, 30:38:30; 6. 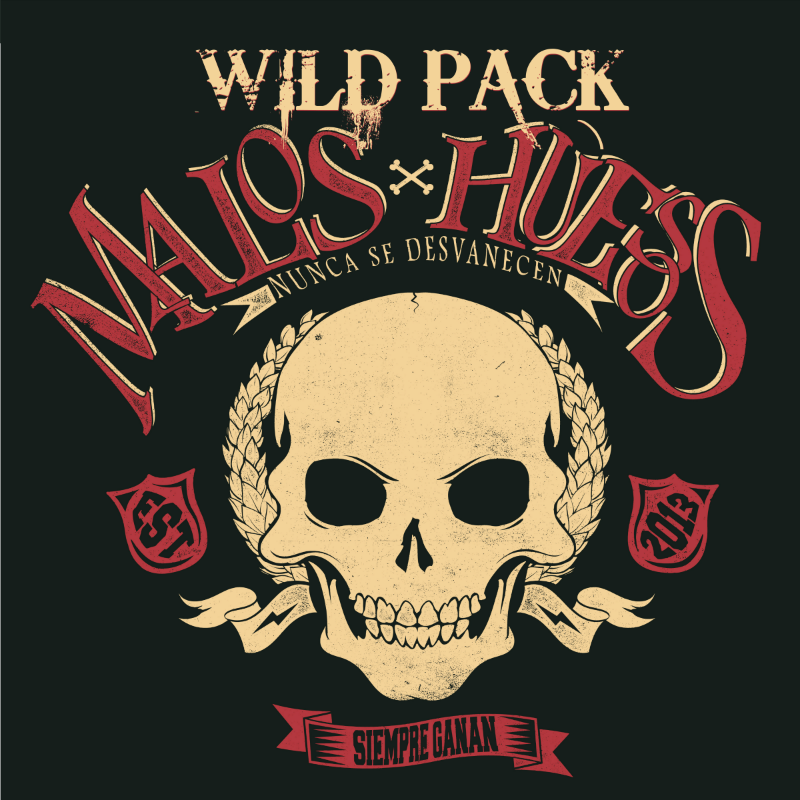 Antonio Castro/Nicolas Amtoriz/Ulises Araiza, Cabo San Lucas, Mexico, Chenowth, 30:56:43;; 7. Hector Ibarra/Juan Jiminez, La Paz, Mexico, Lundin, 34:04:05; 8. James Marquez, Bonita, Calif./Marcos Nunez/Norberto Rivera, Ensenada, Mexico, Jimco, 34:35:33; 9. Jose de Jesus Flores/Jaime Huerta/Alan Zamudio, Culiacan, Mexico/Alharo Galarza, Ensenada, Mexico, 34:37:44; 10. Jake Jones/Josh Jones/Scot Jones, San Clemente, Calif., Hank, 39.46:55; 11. Eric Palacios, Las Vegas/Daniel Gonzalez/Abel Zateco, Chenowth, 44:41:43. CLASS 11 (Stock VW Sedans)—1. Matt Cullen, Long Beach, Calif./Mike Lombardi, Concord, Calif./Jason Liebl, Long Beach, Calif., 43:03:28 (24.65 mph). STOCK FULL (Stock, Full-sized trucks)—1. Joe Bacal, Anthem, Ariz., Lexus LX570, 42:57:12 (24.71 mph). STOCK MINI (Stock, Mini trucks)—1. Gavin Skilton, Anaheim, Calif. (England)/Andy Grider, Los Olivos, Calif., Honda Ridgeline, 29.23:48 (36.12 mph); 2. Ivan Stewart, El Cajon, Calif./Joe Nolan, Wittman, Ariz./Ken Ziesemer, Wittman, Ariz., Toyota 4Runner, 43:28:27. PROTRUCK (Limited, production trucks)— 1. Rob Reinertson, Woodside, Calif./Rob Clouser, Kingman, Ariz./Bob Neth, Julian, Calif., Ford F-150, 26:25:16 (40.18 mph); 2. Nils Castillo, Westlake Village, Calif./Joe Custer, Kannapolis, N.C./Gene Haas, Oxnard, Calif., Chevy Silverado, 27:27:45; 3. Troy Vest, Molalla, Ore./Geno Lecitra, Redmond, Ore./Alan Levinson, Blue Diamond, Nev./Doug Poole, Las Vegas, Chevy Silverado, 31:46:28; 4. Paul Perrizo, Long Beach, Calif./Lee Patten, Bellflower, Calif./Chris Paulsen, Indianapolis, Ind., Ford F-150, 41:54:13; 5. Chelsea Magness/Matt Robinson, Desert Hot Springs, Calif./Michael McNaughton, Arvada, Colo./Wally Hrdlicka, Palm Desert, Calif./Tom Bradley Jr., Henderson, Nev., Ford F-150, 43:02:41. CLASS 17 (Class 3, Modified Jeeps)—1. Eric Filar, Lake Elsinore, Calif./Scott Haltman, Redlands, Calif./Jeff Lessley, Delano, Calif./Ralf Kveller, Germany/Ron Stobaugh, Rancho Santa Margarita, Calif., Jeep Wrangler, 35:42:30 (29.73 mph). BAJA CHALLENGE (Subaru-powered, identically-equipped Baja touring cars)—1. John McInnis III, Gulf Shores, Ala./John McInnis Jr./Rick Skelton, Atlanta/Todd Clement, San Juan Capistrano, Calif., 24:26:16 (43.44 mph); 2. Bud Brutsman, Burbank, Calif./Jason Scherer, Danville, Calif./Kyle Tucker, Mooresville, N.C./Casey Currie, Anaheim, Calif./Lars Wolfe, Danville, Calif./Chad Gilsinger, Marysville, Ohio, 25:20:16; 3. Brian Valentine, Bellvue, Wash./Pete Pigott/J. Allard/Matthew Swann/Peter Descants, Seattle/Jacob Valentine, Bellevue, Wash., 25:32:54; 4. Christian Hammarskjold, Exton, Pa./Philip Hammarskjold, Atherton, Calif./Eduardo Mejia, Atlanta/Dean Walsh, Camarillo, Calif./Ira Moskowitz, 28:18:24; 5. Mike Cassling/Mike Mitten, Omaha, Neb/Davy Jones, Genoa, Nev./Marco Guerrero/Roberto Guerrero, San Juan Capistrano, Calif. (Columbia)/Sebastian Saveedra, Zionsville, Ind. (Columbia), 29:30:41; 6. Dr. Steven Funk, Canada/Travis Clarke, San Diego/Richard Tuthill, Great Britain/Byram Frost, San Marcos, Calif./Eric Berkley/Pete Paitz, San Diego, 37:04:56. CLASS 7-2 (Unlimited 2.2/2.4-Liter Truck)—1. Jim Riley, Ladera Ranch, Calif./Rick L. Johnson, Oak Hills, Calif./Matt Dowland, Apple Valley, Calif., TrophyLite-Chevy, 26:39:20 (39.82 mph); 2. Fawn Finchum/Bruce Finchum, Mesa, Ariz./Kelly Ross, Parker, Colo., TrophyLite-Chevy, 30:38:30; 3. Ron Stobaugh, Georgetown, Calif./Wes Bevly/Wes Bevly IV, Corpus Christi, Texas, BajaLite-Chevy, 38:14:47. CLASS 4 (Unlimited, 2.2 Liter open-wheel car)—1. Jason LaFortune/Jeff Proctor, Upland, Calif., TMR-Chevy, 32:05:58 (33.07 mph); 2. John Langley/Morgan Langley, Santa Monica, Calif./Robert Harmon, Torrance, Calif./David Callaway, Menifee, Calif., Racer-Chevy, 32:36:29;. STOCK ENGINE TRUCK CLASS (Stock, Eco-Turbo Trucks)—1. Mike McCarthy/Robbie McCarthy, Wickenburg, Ariz./Greg Crowther, El Mirage, Ariz., Ford F-150, 38:29:58 (27.57 mph). CLASS 22 (250cc or more)—1. Kendall Norman, Santa Barbara, Calif./Quinn Cody, Buellton, Calif., Honda CRF450X, 19:20:52 (54.87 mph); 2. A.J. Stewart, Jamul, Calif./Bryce Stavron, Palmdale, Calif./Kevin Johnson, Boulder City, Nev./Jesse Sharpe, Escondido, Calif./Craig Smith, Brawley, Calif., Honda CRF450X, 23.16:39; 3. Steve Corrie, Brush Prairie, Wash./Dan Boespflug, Battleground, Wash./Joey Lancaster, Troutdale, Ore./Craig Bowman, Kelso, Wash., Honda CRF450X, 26.29:43; 4. Francisco Arredondo, Guatemala/James West, Great Britain/Mark Ackerman, South Africa/Sunny Irvine, Ensenada, Mexico, Honda CRF450X, 26:39:36; 5. Colton Udall, San Clemente, Calif./Justin Imhoff, Alta Loma, Calif./Timmy Weigand, Santa Clarita, Calif., Honda CRF450X, 27.22:33; 6. Gabriel Williams, Provo, Utah, Honda CRF450X, 27:48:40; 7. Dennis Hannel, Shingle Springs, Calif./Jim Owens/Nick Owens, Scotts Valley, Calif., Brian Lerette, Arnold, Calif., Honda CRF450X, 28:20:58; 8. Junpei Saito/Kyonari Ohtsukas/Shigeru Kurai, Japan, Honda CRF450X, 38:15:49. CLASS 21 (126cc to 250cc)—1. Sol Saltzman, Vail, Colo./Matthew Karlsen, Denver/Bill Boyer, Lomita, Calif./Ryan Kudla, Oxnard, Calif./Mike Blackman, Encinitas, Calif., Honda CRF450X, 22:45:41 (46.64 mph); 2. Adam Neuwirth, Los Angeles/Bill Gilbert, Ladera Ranch, Calif./Dennis Greene, Sky Valley, Calif./Scott Yenzer, Golden, Colo./Colie Potter, Murrieta, Calif., Honda CRF450X, 23:54:41; 3. Ernesto Inowe/Jose Ruvalcaba/Salvador Hernandez/Brandon Prieto, Ensenada, Mexico, Yamaha WR450R, 26:47:36. CLASS 20 (125cc)—1. Jesus Rios, Calexico, Calif./Joe Leal, Mexicali, Mexico/Edgar Espinoza, El Centro, Calif./Jonan Medrano, Imperial, Calif., Honda CRF250X, 25:07:00 (42.27 mph); 2. Anna Cody, Simi Valley, Calif./Roger Hurd, Hesperia, Calif./Robert Laughlin, Solvang, Calif./Morgan Spradling, Montrose, Colo., Honda CRF250X, 26:36:07; 3. Jason Trubey/Jeremy Purvines/Ron Purvines/Carl Maasberg, Henderson, Nev./David Fry, Las Vegas, Honda CRF250X, 28:47:58. CLASS 30 (Riders over 30 years old)—1. Francisco Septien, Ensenada, Mexico/Shane Esposito, Lake Elsinore, Calif./Brian Pinard, Sun City, Calif./Noe Ibarra, Banning, Calif./Mike Johnson, El Paso, Texas/Rex Cameron, Albuquerque, N.M., Honda CRF450X, 22:37:03 (46:94 mph); 2. Steve Garnett/Charles Machester, Carson City, Nev./David Brewer, Cedar Park, Texas/Pete Cochran, Honda CRF450X, 26:23:32; 3. Javier Hernandez, Obregon, Mexico/Mike Crawford, Phoenix/Eduardo Rosas, Huatabampo, Mexico/Steve Bailor, Fullerton, Calif., Honda CRF450X, 28:52:03; 4. Ace Nilson, Reno, Nev./Dean Selph, Seattle/Ken Wortman, Canada/Aaron Beasty, Bend, Ore., Honda CRF450X, 32:33:46; 5. Donald Hatton/Nicolas Caldwell/ Paul Gallagher/Marc Ebdrup, Canada, Husaberg 570, 33:02:07; 6. 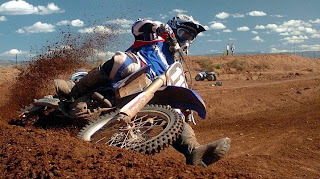 Markus Saarinen/Steve Richards/Tom Phielix, Tucson, Ariz./Seppo Saarinen, Camas, Wash., Honda CRF450X; 35:33:49; 7. 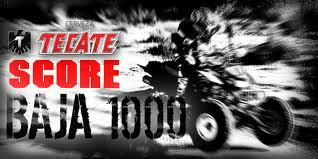 Talya Dodson, Truckee, Calif., KTM 530XC-W, 42.50:47. CLASS 40 (Riders over 40 years old)—1. Louie Franco, Sherman Oaks, Calif./Ricky Johnson/Trabuco Canyon, Calif./Jeff Kaplan, Thousand Oaks, Calif./Brett Helm, Poway, Calif./Scott Myers, Menifee, Calif., Trabuco Canyon, Calif./Bob Johnson, San Diego/Troy Lee, Corona, Calif., Honda CRF450X, 22:32:17 (47.11 mph); 2. 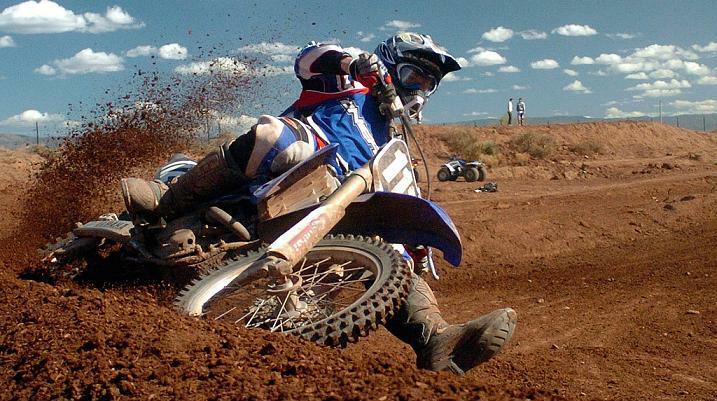 Henrik Andersen, Capistrano Beach, Calif./Ryan Armitage, Las Cruces, N.M./Brian Sharp, Platteville, Colo./Kyle Abney, Albuquerque, N.M., KTM 530EXC, 26.46:33; 3. Andrew Wilkins, Winchester, Calif./Paul Wilkins, Santa Ana, Calif., Honda CRF450X, 27:29:00; 4. Tom Vogt, Tempe, Ariz./Ken Hughes, Gilbert, Ariz./Tom Stanley, Casa Grande, Ariz./Barry Lane, Mesa, Ariz./Eric Zite, Gilbert, Ariz., Honda CRF450X, 31:15:15; 5. Mike Prunty, Temecula, Calif./Steriyn Rigsby, Temecula, Calif./Lester Lehigh, Bishop, Calif./Jeff Kelly, Mammoth Lakes, Calif., Honda CRF450X, 32:10:58; 6. Boo Custer/Steven Davidson, League City, Texas/Michael Spellings, Houston/Norman Thornhill III, Friendswood, Texas, Honda CRF450X, 36:42:05; 7. Terry Peregoodoff, Canada, Yamaha WR450F, 42:54:36. CLASS 50 (Riders over 50 years old)—1. Jim Dizney, Alpine, Calif./Doug Smith, Upland, Calif./Dave Potts, Burbank, Calif./Jimmy Sones, Banning, Calif./Charlie Marshal, Carmichael, Calif., Honda CRF450X, 24:53:57 (42.64 mph). CLASS 60 (Riders over 60 years old)—1. Bill Nichols, Peoria, Ariz./Richard Jackson, Acton, Calif./Mark Force, Bakersfield, Calif./Al Perrett, Canada/Guy Wilson, Bakersfield, Calif., Honda CRF450X, 30:45:37 (34.51 mph); 2. Donald Lewis, Marlborough, Conn./Chuck Koistra, Menifee, Calif./Sam Dempsey, Lake Balboa, Calif./Bob Gates, Hesperia, Calif./Mike Harper, Landers, Calif./Jim O’Neal, Simi Valley, Calif./Ron Dugan, Upland, Calif./Will Rogers, Escondido, Calif., Honda CRF450X, 32:04:57. CLASS 25 (over 251cc)—1. Felipe Velez, San Felipe, Mexico/Malio Diaz, La Paz, Mexico/Carlos Lopez, San Felipe, Mexico/Maro Gonzalez, La Paz, Mexico/Stefano Caputo, San Felipe, Mexico (Italy), Honda TRX700XX, 24:54:27 (42:63 mph); 2. Wayne Matlock/Harold Goodman, Brownstown, Mich./Josh Caster, El Cajon, Calif./Wes Miller, Fallbrook, Calif., Honda TRX700XX, 25:10:19; 3. Eric Bakx/Charles Laviolette/Sylvain Leduc/Guillaume Landriault, Canada, Suzuki LTR450, 44:53:26. CLASS 26 (Limited, Utility)—1. 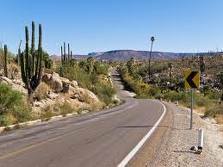 Reid Rutherford, Montrose, Colo./Benn Vernadakis, Rico, Colo./Tony Valerio, Telluride, Colo./Austin Madvena, San Felipe, Mexico, Arctic Cat, 39:25:24 (26.93 mph); 2. Rob Ransford, Chicago/Tim Winiarski, Carson, Calif./Joe Rice, Lomita, Calif., Can-Am 4X4, 43:25:05. OVERALL SPT M/C<250CC— Greg Willits, Sisters, Ore./Jeff Johnson, Portland, Ore./Kirk Russell, San Diego/Marc Jenkins/Chris Parr, Colorado Springs, Colo., Honda CRF450X, 25:49:15 (41.12 mph). OVERALL SPT M/C>250cc— Salvador Sainz, San Diego/David Gonzalez Jr. /Juan Villa Senor, Chula Vista, Calif./Ruben Miramontes/Juan Sanchotena, San Diego, KTM XC450, 25.13:02 (42.10 mph). 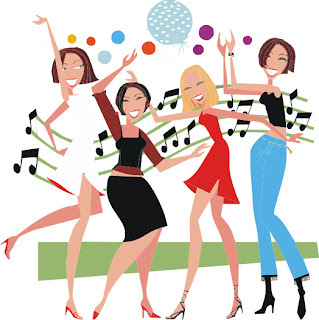 Ladies Nigh It is our turn Girls. Come and have fun at La Garra! Friday, November 19th!. Girls only till midnight. Special drinks, games and fun!! Show starts at 10pm! Come early and secure a table or make a reservation. Entrance fee $60 pesos. Guys welcome after midnight. Noche Mexicana! Saturday, November 20th- Come and have fun with our live band! Corralejo Tequila shots 2x1. Fun ends at 3:00 am! The Optimist Club of Loreto will again cook a pancake and sausage breakfast for Loreto families on November 27th. Every year on the Saturday after Thanksgiving the Optimist Club hosts a breakfast which is free to children under 12. 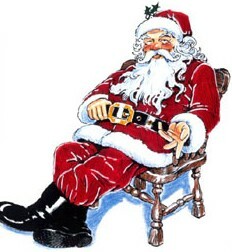 Santa Claus is there to hear the childrens 'Chirstmas Wishes' and give out bags of candy. Members of the Optimist Club purchase bicycles to give away to children on this special day. Everyone is invited to attend the breakfast held in the town plaza - - it is $50 pesos. There is a bake sale and you can also buy raffle tickets for the bicycles and other prizes or bid on auction items such as gingerbread houses that members donate. All proceeds from the breakfast goes to children projects in the Loreto area. LA PAZ, Mexico, November 21, 2010 – After suffering the longest night of his young off-road racing career, Joe Bacal and the Cancer Treatment Centers of America-sponsored Lexus LX 570 stormed past the finish line at 7:54 a.m. Saturday morning in a triumphant conclusion to the 43rd Annual Tecate SCORE Baja 1000. "I felt great and we were making excellent time until a wheel came loose around mile 180," said Bacal. "The loose wheel caused some damage that took quite a while to repair." "We knew we could finish on the podium if we could just get to the finish," continued Bacal. "By now we were exhausted and hungry, and the finishing window was getting very tight. We tried everything we could think of and with just 40 minutes left to get through the next checkpoint, the LX started. At that point it seemed like a miracle." But the drama wasn't over yet. 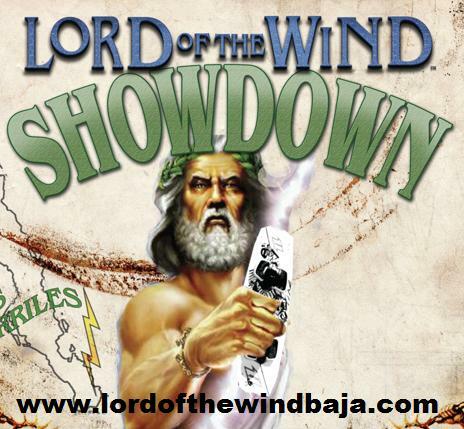 Due to communication difficulties on the Baja peninsula, there was confusion among the support teams. With the long layover, a rumor started circulating that Bacal was out and they were starting to head home when an urgent call from Teresa Bacal finally broke through: "The LX is running again!" Now the JTGrey team would have to run quick and trouble free for the rest of the race—about 680 miles—to reach the finish in the allotted time. And that they did. Bacal and Cocores handed the big LX to Ditner and Williamsen at mile 545 and the pair ran fast and clean to mile 840,averaging nearly 40 miles per hour. They also passed the previously class-leading—but now stationary—#861 Hummer along the way, further energizing the weary team. "This one was a nail-biter—a real test for everyone," said Bacal. "But my team stayed with it and we got ourselves back in the race. With the problems behind us we just flew to the finish line." Bacal and Lexus' first foray into off-road racing yielded immediate victory in 2009 with a brand-new team and an equally new LX 570 at the brutal Baja 500. Since then, the Cancer Treatment Centers of America-sponsored squad has compiled a perfect finishing record that remains unbroken. "It's a testament to the durability of Lexus and the contributions of a great team, including the outstanding Long Beach Racers," noted Bacal. "We also have an amazing group of sponsors such as BF Goodrich and King Shocks that provide bullet-proof go-fast parts. Plus, the Cancer Treatment Centers of America has my back." JTGrey Racing was created by Joe and Teresa Bacal in 2008 to support Joe's off-road racing efforts and is also based in Phoenix. Additional high-resolution images and B-roll are available. Please contact Brad Nelson or Teresa Bacal.